Charlie the Peanut is a children's book created by two Mississippians, Lexington couple Alyssa and Keith Killebrew. Batesville native, Chris Jenkins, illustrated the book. In the story, Charlie the Peanut is carried away by a bluebird and dropped in a cotton field and must find his way home. The message of the book is "grow where you're planted." The self-published book can be found in about 20 Mississippi locations and is also available online at http://charliethepeanut.com. So far they have sold 1,000 copies. 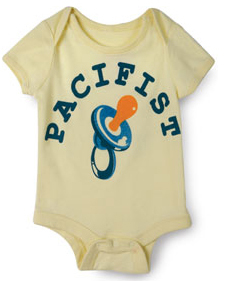 100% cotton romper. Machine wash. 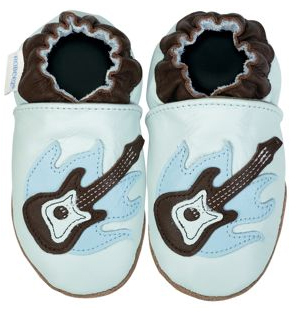 The whole world’s a stage for your budding rock star when he slips on his electric brown guitar and belts out a few chords, shooting baby blue flames against a pastel blue stage. So slip on his blue suede shoes - and watch those leg moves! 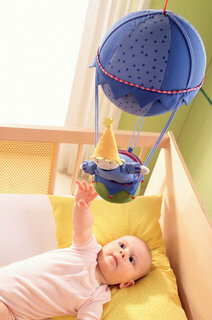 The little gnome slowly swings up to the sky in his balloon to sing "good night" along with the accompanying calming sounds of a lullaby tune. Then, in the morning, the gnome is ready to happily greet the child once again. 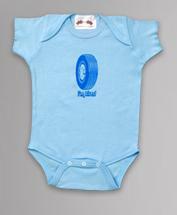 Plays the "goodnight song"
I so would have gotten one of these for Quentin if they were around back then. Keep their most treasured stuffed animals looking like new! 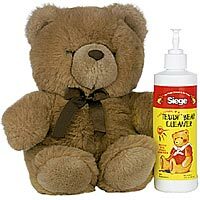 Teddy Bear Cleaner removes stains quickly and easily without wear to fabric. Safe for use on all plush toys. Simply spray on and wipe dirt away. 12 oz. spray. 100% biodegradable. 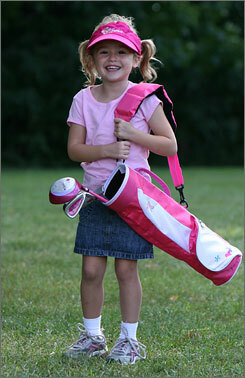 In November, Mattel is introducing a Barbie Golf Club Set for girls 4-6. The set will retail for $39.99. It was maunufactured by Cougar Golf and will be available at Target. Built with the walls tilted slightly outward, these custom playhouses include doors with handles, cedar shingle roofs, and slanted windows on the walls. Plus, you can add a front porch; pick a color (like red barn, Tigger orange, and garden green); and even choose a theme such as a schoolhouse, castle, or restaurant. The eight-foot-tall Kids Crooked House buildings, constructed in Windham, Maine, are big enough to host top-secret club meetings, tea parties for teddy bears, and other no-adults-allowed activities.